Cut the Rope: Magic by ZeptoLab UK Limited is Apple’s free app of the week. The game normally retails for $1.29 and is free for this week only. 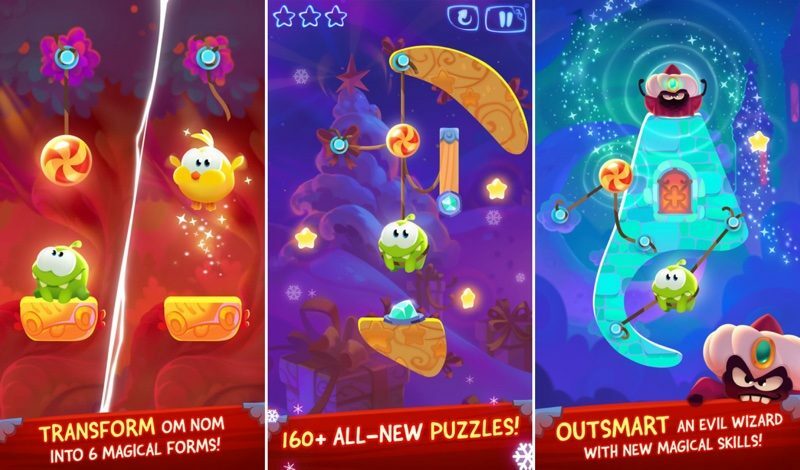 Join Om Nom’s newest adventure and transform him into magical forms to help the lovable little monster recover candy stolen by an evil wizard. A magical mishap has accidentally teleported Om Nom to a mystical world filled with challenging puzzles for players of all ages. The latest installment of this globally popular entertainment franchise puts a fresh spin on Cut the Rope’s iconic physics puzzle gameplay, introducing more than 160 all-new magic-themed levels across a richly imagined, colorful world. Cut the Rope: Magic is available as a free download (normally $1.29) from the App Store. The game requires any iOS device running iOS 7.0 or later. The app contains in-app purchases ranging between $0.99 and $39.99.